Cllr Mrs Jeane Lea fulfilled her first duty as mayor after her inauguration by launching the Town Council’s new website on 5th June 2018. The new website, at the same address: www.walthamabbey-tc.gov.uk is bright, attractive and much easier to navigate, with various ways to move around the site. Designed by KDWeb is now directly linked to the town council’s social media, such as Facebook and Twitter. 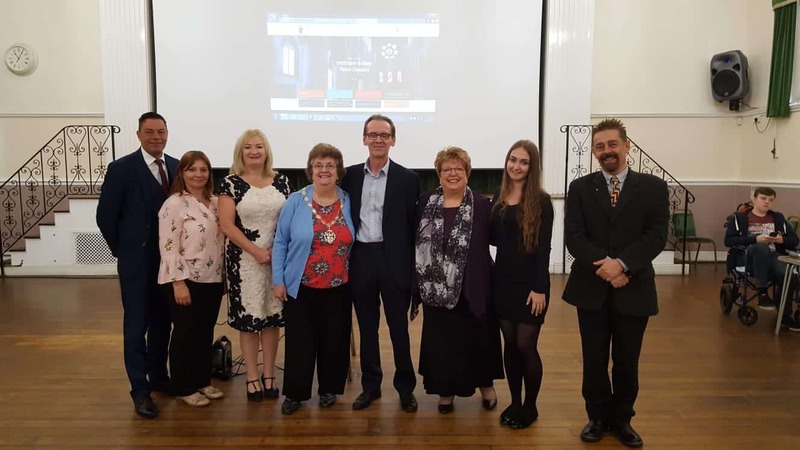 The gathering for the launch included Town Councillors, District Councillors and staff, a number of which have been trained to maintain and upload information to the site. Cllr Mrs Lea said “the project was finally set in motion in July 2017 and over the last year, there has been many hours spent on developing and consultation to ensure a fresh modern look and we also wish to establish this portal as a source of easy to access information for those who visit our site. We would like to thank Michael the Project Manager and Sean the Digital Sales Consultant from KDWeb for their time, energy and advice over the last year to make this site what it is today”.